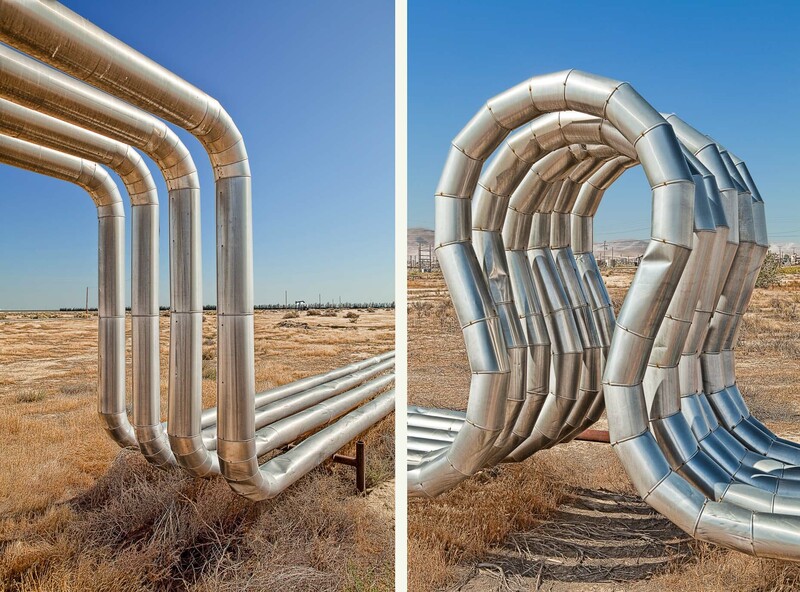 Metal pipes in interesting shapes in oil field, Kern County, California. Industrial. David Zaitz Photography.